wheremmsgather: A Day to Play! It's Friday! Yaaaaay! I have today off from work in observance of the July 4th holiday, so I had an opportunity to play the SCS Limited Supplies challenge. 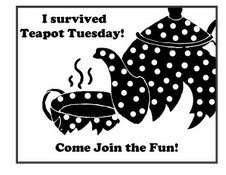 Today's challenge was to use only digi stamps or die cuts. I chose to use my Sizzix daisy flower die for my creation today. I cut and layered two of the smaller dies. We could also use two embellishments, but I used none. I like the striking contrast of the white daisy dies against SU's retired purely pomegranate with the cool carribean punched circle centers. Since we could not use stamps, I used one of my neglected rub on sets for my friend sentiment and flourish. The panel of dotted swiss embossing at the top was done with a Cuttlebug borders embossing folder. We're meeting family later for dinner, which I'm looking forward to seeing everyone. I hope my sweet little Zoe is going to be there! If you want to know who Zoe is, she's my great niece who I featured on my blog last Saturday for the inspiration challenge. OMGoodness, Charlene! I almost chose the exact same signature font before I redid my blog. I've always admired your work and this beauty is no exception. Uh, make my M&M's with almonds and we're lifetime buddies. :-) Thanks so much for taking the time to visit and comment. Woo Hoo! I am off today too! Isn't it SO much fun? This card is AWESOME Charlene!! Enjoy your 3 day weekend and Happy 4th of July!! Oh my goodness Charlene!! I ADORE this card!! It's so fresh and happy!! Your flowers are fantastic and your sentiment along the bottom...fabulous!! LOVE this!! oh i soooo agree. the white against that red is gorgeous. have a fabulous weekend. Wow-zers girl, I love this. Happy week-end!! This is stunning. Love the simplicity and striking colors. Definitely one I'll be casing. Have a wonderful day and a safe holiday. Hello Charlene!! Fabo card and love the half daisy on here!! 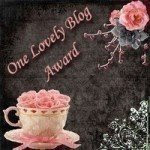 I left you a blog award on my blog - I hope you accept it!! Charlene this is beautiful. I have this die and have hardly used it. Shame on me. Really great way to arrange the layers. Hope your family dinner and your day off was awesome. 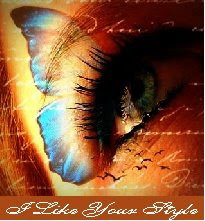 This is wonderful, Charlene -- I, too, love that striking contrast -- great card! And, yes, those few weeks will be here before we know it! What a super cool design, missy....look ma, no stamps!!!! 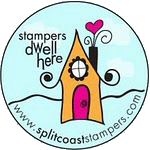 You are going to make all those stamp companies real nervous...heeheehee!!! I love the white flowers on the PP background and the rubons look beautiful...AWESOME work here, Charlene!!! Looks like you and I were both thinkin daisies this week, Charlene...yours are beautifullll...way to use your dies, and the rub on adds so much visual interest on the bottom balancing those big bold buds...I love this card!! Hope you got to see Zoe and hold her for a little while. Happy 4th to you and your family, sweet friend!